Enter the new Slush Puppie 120 Days of Summer Contest for your chance to Win beach towels, gift cards and $1000 cash prizes. This contest is open only to legal residents of Quebec, Ontario, New Brunswick, Nova Scotia, Prince Edward Island, Newfoundland and Labrador who are 13 years of age or older. To enter visit the official contest web site located at slushpuppie.ca and fully complete the online entry form with your name, last name, email address, city, province, postal code and phone number, agree to the contest rules and submit it. Contest ends at 10:00 am EDT on August 26, 2019. Winner will be selected by random draw from all eligible entries. 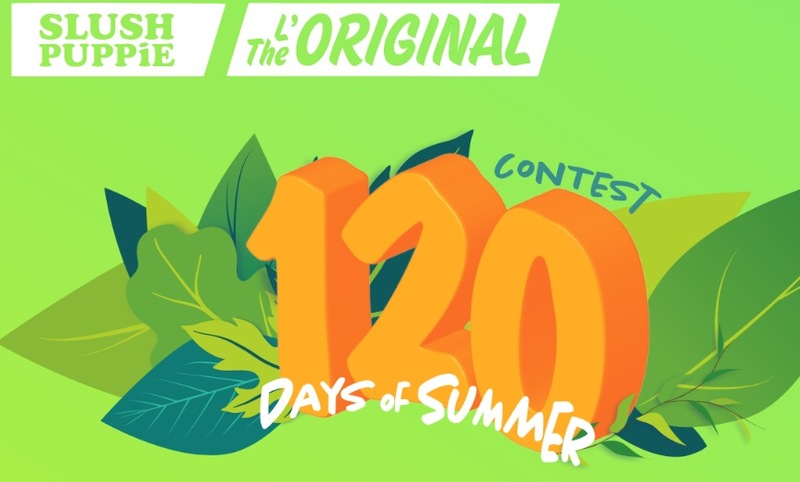 The Slush Puppie 120 Days of Summer Contest will run from 10:00 a.m. (EST) on February 1st, 2019, until 10:00 a.m. (EDT) on August 26th, 2019.